Devin Jones, a college student on the verge of serious heartbreak, makes an impulsive choice to spend the summer working at Joyland, a large carnival stationed at Heaven’s Bay, a small, seaside town. Little does he know that heartbreak is just the beginning of his summer passage to manhood. In his future lies a dark mystery, the death of a special friend, and some other things that will change him forever. Joyland is both a novel of coming of age and of growing old. It’s about new beginnings and terrible ends. Yet, in between these things, there’s tender love, great passion, personal loss, mystery and even horror. 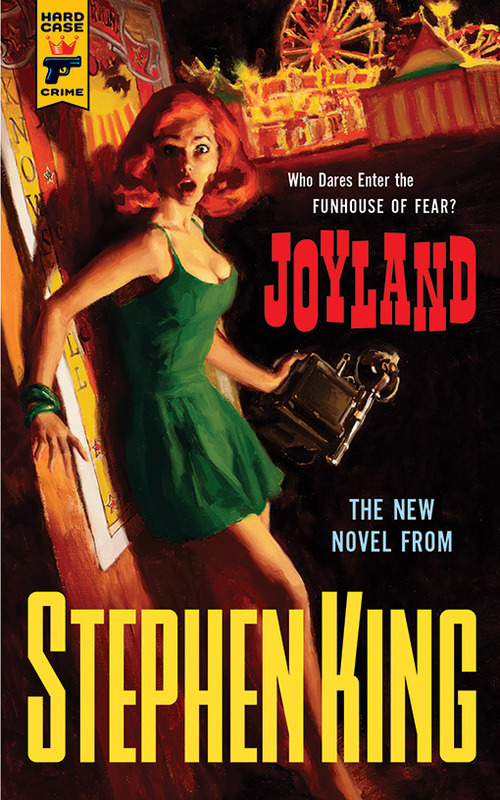 Written in the vein of such beautiful stories as Stand by Me and Hearts in Atlantis, Joyland holds its own as a work of crime—with a touch of horror. Not as innocent as Stand by Me, nor as deep as Hearts in Atlantis, this story reaches for one man’s understanding of himself during a most unusual summer, both the worst and the best of his life. This is a mature Stephen King we experience. A man looking back over his own life and attempting, once again, to capture those bittersweet moments that tend to shape us all. A master working his craft as no other can.